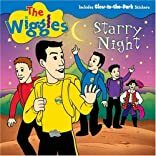 There's so much fun to be had with The Wiggles! Come along on a camping trip and see what happens after the sun goes down. When The Wiggles let their imaginations take over, they start to see all kinds of exciting things up in the stars!